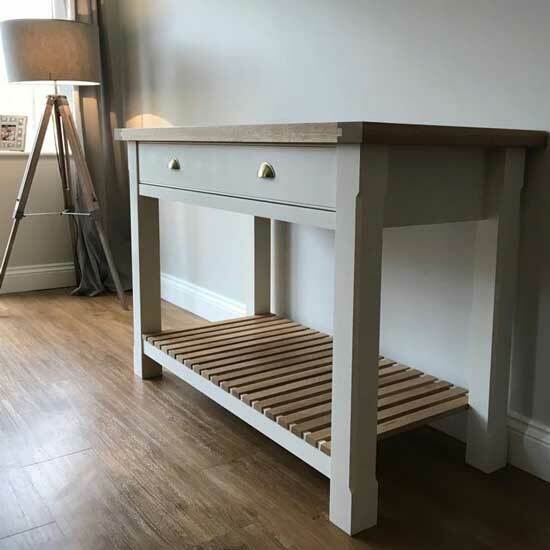 When your bespoke kitchen design is finalised, we start the process of handcrafting your kitchen furniture in our Shere Workshop. 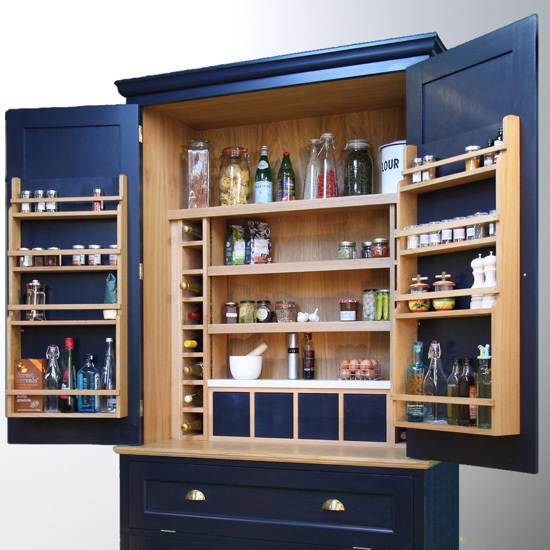 We use traditional cabinetry and joinery techniques, which mean we can tailor-make any style of kitchen, larder cupboard, pantry or island unit to your bespoke design. Our craftsmen have an obsessive eye for detail and perfection. We use only the best quality materials and methods to handcraft your kitchen furniture. Choosing the colour or colours of your Shere Kitchen is a big decision. We have a wide range of inspiring paint colours for you to choose from, and are always happy to visit your home with samples to help you decide on your colour scheme. We are equally happy to source any colour you have already fallen in love with. And for extra wow factor we are able to offer incredible spray painted metal effects. Your kitchen is then professionally hand painted or sprayed. Final touches are applied once your kitchen has been installed to provide a perfect finish. We have a wide range of suggestions for the finishing touches to your Shere Kitchen. Because your kitchen will be completely hand built for you, we will make sure every finishing touch fits perfectly, whatever its size. Work surfaces - we can help you choose a kitchen work surface to match your kitchen style as well as your lifestyle. We love solid wood surfaces but also offer natural stone and man-made alternatives. Handles - we can source a large range of kitchen handles, in a variety of materials, to finish your Shere Kitchen. Perhaps you love wood handles, or prefer the look of antique brass, nickel or chrome against your bespoke wood furniture. Taps and sinks - we recommend using very high-quality taps and sinks to match the quality of your Shere Kitchen. We love it when you have your own suggestions and we have some wonderful choices we can share with you. Appliances - we can work with your existing appliances, or suggest luxury appliances that will complete your kitchen. From choosing a fridge, freezer and oven, to including a built-in wine cooler or coffee maker, we can help you choose appliances to complement your lifestyle. Lighting - creating the right blend of practical and mood lighting will showcase your new kitchen perfectly. We think creatively about where to put your light sources - for example adding lighting below your island unit can make it appear to float. 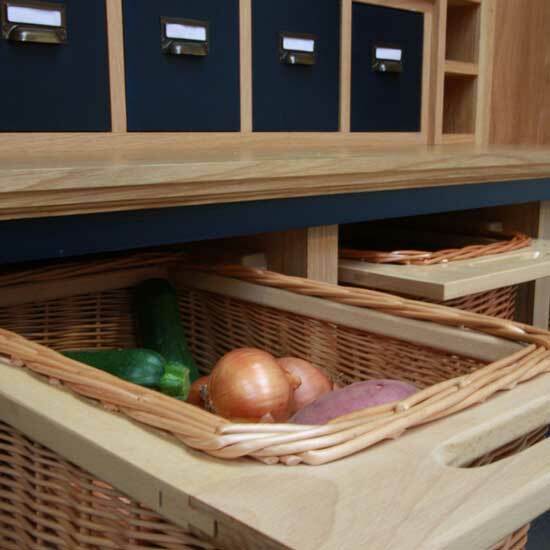 “We want to offer the market something totally different by crafting kitchens that are truly tailor made here at our workshop in Shere, made with beautiful materials to last. But most importantly each kitchen will be unique to each customer. 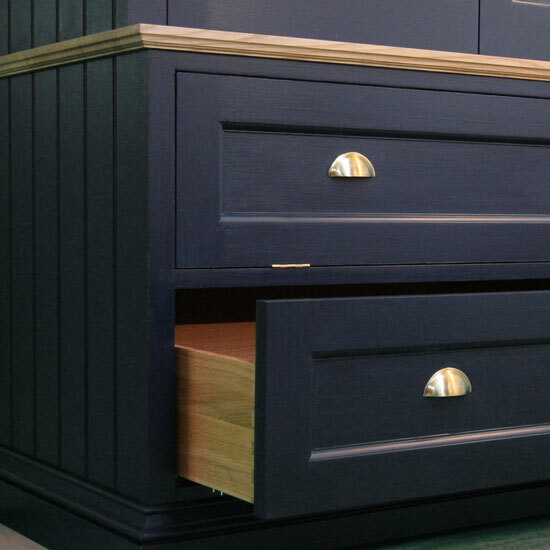 We’re offering the classic Shaker style because the Utilitarian style is all about furniture with a purpose, but with artistic edge, with our own design twists. For instance, one of our customers commissioned patterned floor to ceiling cabinets along the length of an entire wall, the pattern was inspired by some art they had in their home.